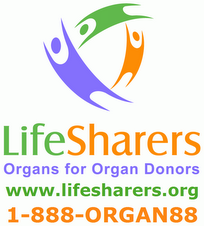 If you join LifeSharers, you'll have a better chance of getting an organ transplant if you ever need one. By donating your organs to other organ donors, you'll also help make the organ allocation system more equitable. Membership is free and open to all at www.lifesharers.org. If your durable power of attorney for healthcare mentions your agreement to donate your organs through LifeSharers, you should change it. If you have told your family and/or your doctors that you want to donate your organs through LifeSharers, you should let them know that's no longer possible.